A woman and her body goes through so much when it comes to childbirth. As a BirthFit Coach I can help you feel more physically and mentally prepared for labor through movement, breathing exercises, and support. After having a baby I can help you restore your body and help keep you in a healthy mindset through the recovery process. Book a movement session for your children or schedule a Birthday Party! Children and Teens are engaged in age appropriate games and activities that will help them learn basic form in functional movements. They will participate in exercises that will build agility, strength, and flexibility. They will learn about fitness and nutrition in a positive and healthy way. They’ll have so much fun they won't even realize they’re working so hard! Perhaps you are interested in getting fit, but nervous about joining a group class. Perhaps you have health concerns that don’t know how to work around at the gym. Perhaps you and your partner would like a healthy date night. Not only did Julia help me get back into shape after having my sweet baby. She was so encouraging and helped me keep in a positive mindset. She was also so loving to my daughter when I brought her to sessions with me. Born and raised in Normal, Illinois, but I have made my home in Brooklyn. I have lived here for nearly 10 years. In this time I have grown my passion in fitness and education. In addition to working as a personal trainer and CrossFit coach, I am a teacher and an administrator in Early Childhood Education. I have always been interested in fitness; playing soccer, running, lifting weights, etc. Six years ago I began doing CrossFit. 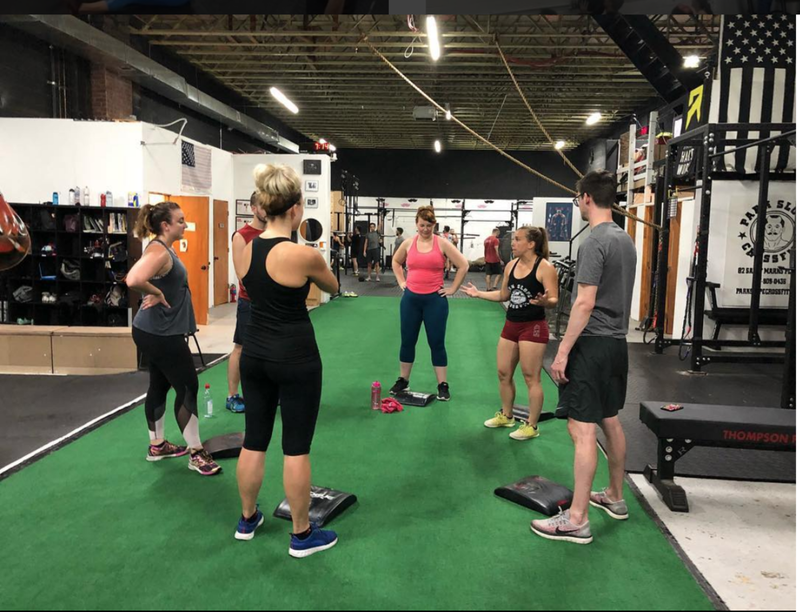 I wanted to learn more about weightlifting and found a great community at Park Slope CrossFit. I have competed in CrossFit competitions (as an individual and on teams) and have also competed in Power Lifting. If you keep going, you’ll get there.